The Synopsis of The Vocal Science (TM) Method! 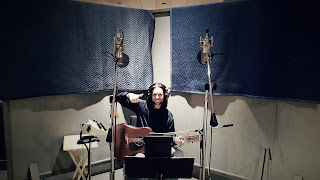 For those who wanted to know how it all came about, we decided to disclose the “intimate” details of how The Royans Professional Vocal School (a.k.a. The Royans School for the Musial Performing Arts) got conceived, was carried and had been brought up on this Earth for its existence to nowadays.— I came to Toronto, Canada from Russia (Leningrad/St. Petersburg) in 1980. In 1984, my partner (common-law husband) and I were able to open a school named (at the time) The Royans School for the Musical Performing Arts. This school was donated to me by an older Polish Canadian philanthropist. This gentleman overheard me singing and playing piano, and while congratulating me on my talent, he asked me why I am teaching singing and piano in other schools, but not in my own? I did reply that I was still a new immigrant and, at the time, my daughter was barely two years old.To do something like that, it obviously required money which, of course, living the live of a single mother, I did not have much of. He said to me: “No worries. I could help you. I have the money and I was always dreaming about opening a music school of my own, but everybody was laughing at me saying that being a musician is not really a profession which could earn the living”. However, he said: “I see in you a person who could carry my dream for years to come; and therefore, I will support it in any way I can”. Surely enough, he gave us a sum of money and also some musical instruments to open up a school attached to a music store. The original Royans School for the Musical Performing Arts was officially born on February 15th, 1984. Throughout the last 33 years of its existence, the business took quite a few turns and twists. To date, it is primarily a school for people (speakers and singers) who experience difficulties with their voice. My copyrighted and trademarked Vocal Science™ Method and Technique advocates and promotes the safety of the human voice (speaking and singing). In case of it being “broken”, the non-surgical method designed to treat and even cure the cause of the matter; and not only with its revolutionary technique, but also with the application of natural herbal and some homeopathic remedies. It is a holistic approach to voice mechanics, and we are treating and accessing not only the voice but the person as a whole. “Lump” in the throat (in the majority of cases, associated with such vocal disorder as Muscle Tension Dysphonia). Colon and stomach disorders (which could be directly connected to any of the voice disorders). Vocal fatigue (often associated with the wrong application of the speaking/singing voice; and chronic fatigue syndrome in general). We are also helping quite and shy children (and adults) regain their confidence by making their voice heard. We help people with speech limitations, neurological blockages, physiological impasses. 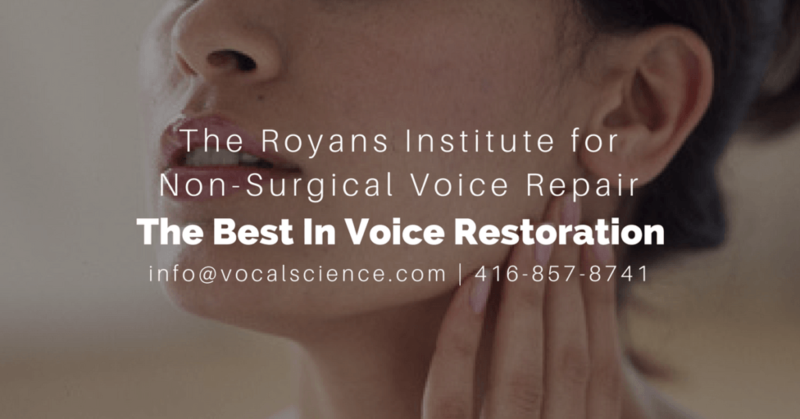 We correct unsuccessful vocal surgery errors and post-surgery physical and emotional consequences. We help with building self-assertion; we also work on facial muscle stimulation, digestion, weight loss and core strengthening. The Vocal Science™ technique is a shortcut to the adaptation of professional speaking or singing. Our device is: From beginner to a professional speaker or singer in a matter of hours… not months or years. We call it the Super Accelerated Voice/Vocal Immersion Course. The protocol for achieving the best results would consist of at least 30 hours of our unique instruction, which is (when needed) combined with the implementation of natural herbal and some elements of homeopathic remedies.